According to a report, the injuries may be a result of "advanced sonic weapon that operated outside the range of audible sound"
The complaints always begin with US diplomats and their families hearing strange, unusual sounds. One US embassy official in Guangzhao, China described the noises as “subtle and vague, but abnormal, sensations of sound and pressure”. Another described these sounds like a “marble bouncing and hitting the floor”. The prolonged effects of the unexplained phenomenon range from mild headaches and sleeplessness to more serious brain injuries, hearing loss, nausea, speech problems and nervous-system damage. But no one knows why American diplomats are falling ill. The latest cases of the mysterious illness are coming out of China from where the US State Department evacuated two more Americans on June 6 who exhibited the symptoms. Secretary of State Mike Pompeo said that the reports of American employees being ill were “very similar and entirely consistent with medical indications that have taken place to Americans working in Cuba”. 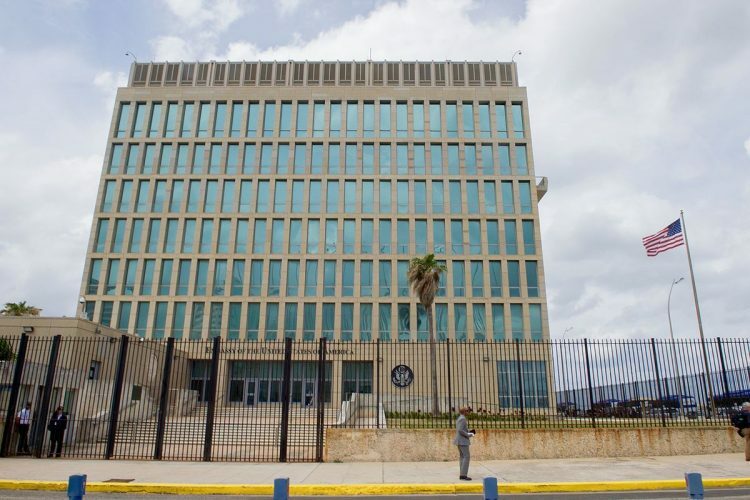 The cases first started appearing in 2016 in Cuba where 24 US diplomats and their families fell sick after the onset of “unusual sounds and auditory sensations”. The unexplained incidents of permanent hearing loss provoked fears of ‘sonic attack’ after which the US ordered more than half of its diplomats to evacuate Cuba last year. According to Journal of the American Medical Association, the 20 officials they examined “appeared to have sustained injury to widespread brain networks without an associated history of head trauma”. Many theories are floating around as to how American diplomats are subjected to targeted attacks. According to a report in the Associated Press, the injuries may be a result of “advanced sonic weapon that operated outside the range of audible sound”. Researchers at the University of Michigan suspect that the noises may be due to ultrasound-producing spy gear that interferes with similar devices. The bizarre incidents come amid increasingly strained relations between US and China, who are on the brink of a trade war. Both Cuba and China deny being involved in any such ‘sonic attacks’.